Jim Jones said all the right things to people looking to escape the racial and class divides of mid-century America. He called himself an “apostolic socialist,” and preached universal healthcare, racial integration, and other social services. He and his wife were the first white couple to adopt a black child in Indiana. But as is all too often the case of privileged people espousing wokeness, the act was a lie meant to mask a horrific truth. “My life was in turmoil, I had a failed marriage and I was looking for a place to be political in a safer environment after a series of bad decisions,” [Johnson] recalls. 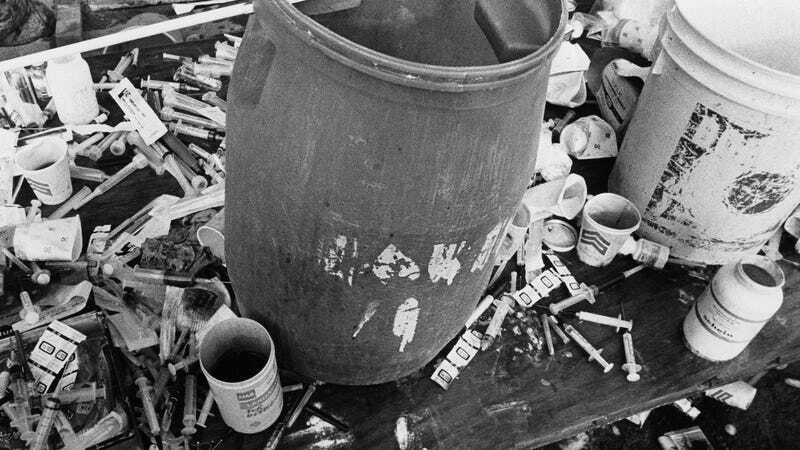 When Jones founded Jonestown in Guyana, South America, he told followers it was to escape America’s poverty, racism, drugs, and the “impending nuclear apocalypse,” he warned followers about. Instead, he and 1,000 others would form a utopia in the jungle, free of what plagued them back home. But upon arriving, members had their passports confiscated and were separated from their children. If they didn’t like it, they were told they could “swim home,” according to the L.A. Times. Those who had followed him to the jungle were frequently lined up and made to drink punch they were told was laced with cyanide. After, Jones would call it a loyalty test. They passed. The end came on Nov. 18, 1978, when Congressman Leo Ryan went to Guyana in order to investigate reports that People’s Temple members were being held against their will. A handful of followers made to leave with Ryan. Gunman opened fire on the escapees, killing 12, including Ryan. What differentiates Jonestown survivors from those who have prevailed over other tragedies—such as families of those who died in the World Trade Center in 2001, or the relatives of airplane crash victims—is that theirs is a grief denied. Society shunned them and called them “baby-killers”; it called the dead “cultists” and “fanatics” and worse. The reaction they received was condemnation, not condolence; sarcasm, not sympathy. As their narratives show, being part of Peoples Temple meant being silenced as a survivor. Laura returned to the US at the end of November 1978 and moved back into the People’s Temple community in California - a decision that she says she had no qualms about. As the horror faded, the 918 bodies of men, women, and children, were left in the sun as local authorities and the U.S. fought over whose responsibility they were. Back home, the dead, alongside the handful that survived, became a pop culture reference, a joke. “Don’t drink the Kool-Aid,” we taunt each other as a warning against groupthink. But even that phrase is a kind of groupthink: a smug self-assurance that we could never be talked into doing something horrible by a man who made the promises we most wanted to hear. This was not a mass suicide. It was a mass murder. I’ve shared my Guyana story countless times, but it’s still a challenge to go back and relive those days. To go back to the gunshots. To the tarmac. To the stretchers. To the volatile flight home.